JPEG format is now the most popular among graphic lossy compressing formats. It is suitable for sharing images online, storing them locally in a compact way, etc. BMP is far bigger in size and not so flexible in use, but some users prefer it for specific needs. If you need to get your JPEG collection in BMP format, it is better to convert JPEG to BMP in batch instead of converting files one by one. Batch processing requires minimum time and user's control. 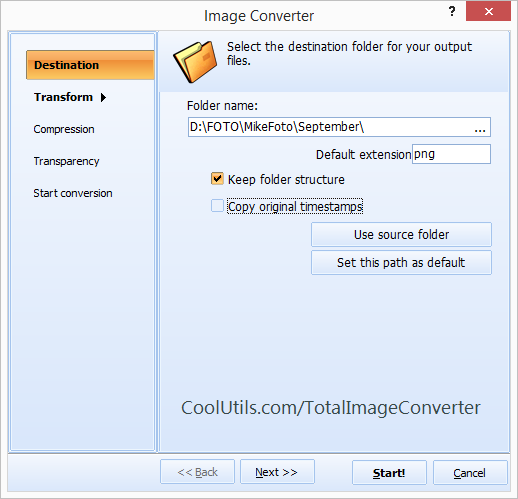 This feature is provided by Total Image Converter from CoolUtils. 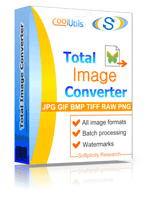 This batch JPEG BMP converter can be managed in both GUI and command line modes. In such a way each conversion step is automatically followed by the next required. You need only to make a few clicks to convert your JPEGs into BMP. Moreover, here you can modify sources before conversion. 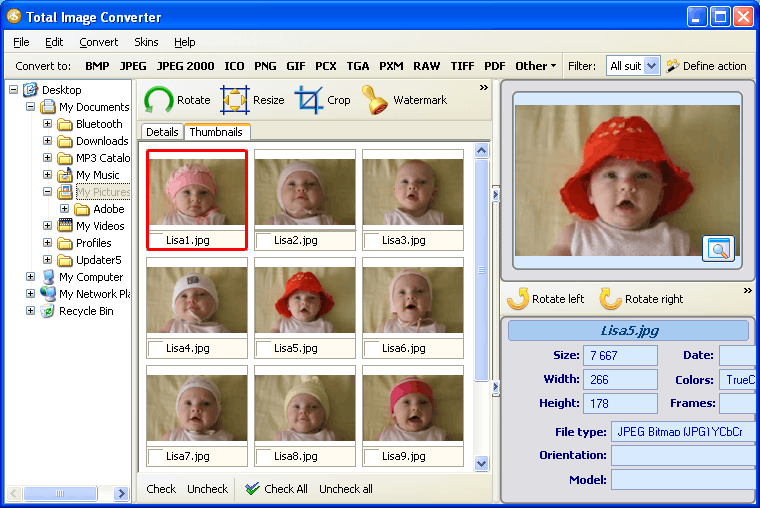 For instance, there is an ability to change the size of images, crop specific fragments, rotate them, etc. When converting JPEG to BMP, you can protect the future copies by watermarks. These can be images or text comments. 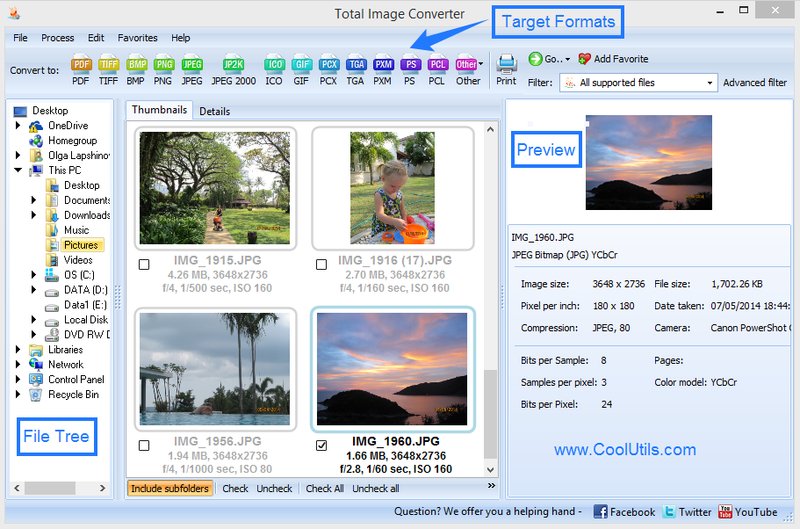 You can test all these features in Total Image Converter free trial version that is available for 30 days free use. Then you will be able to switch to a licensed converter without reinstallation.